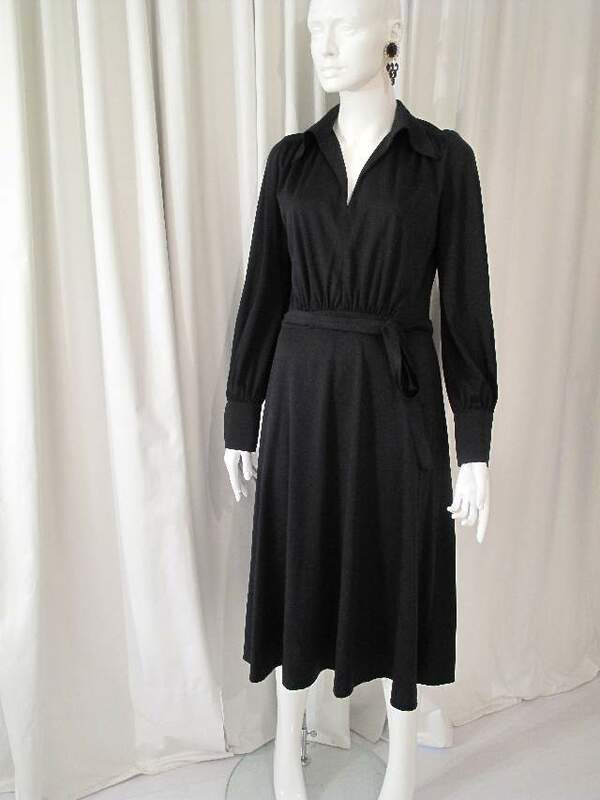 1970's Black trevira jersey shirt-style vintage midi dress. 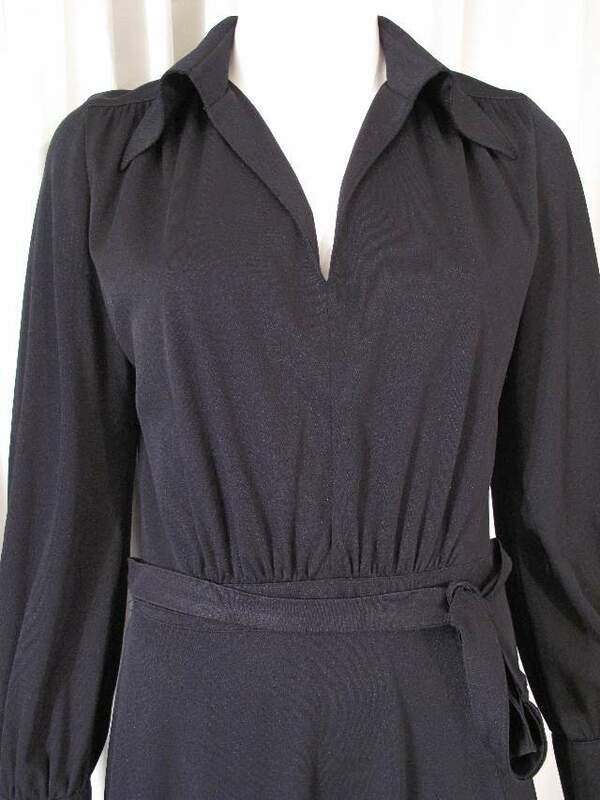 This is a classic seventies style and cut. 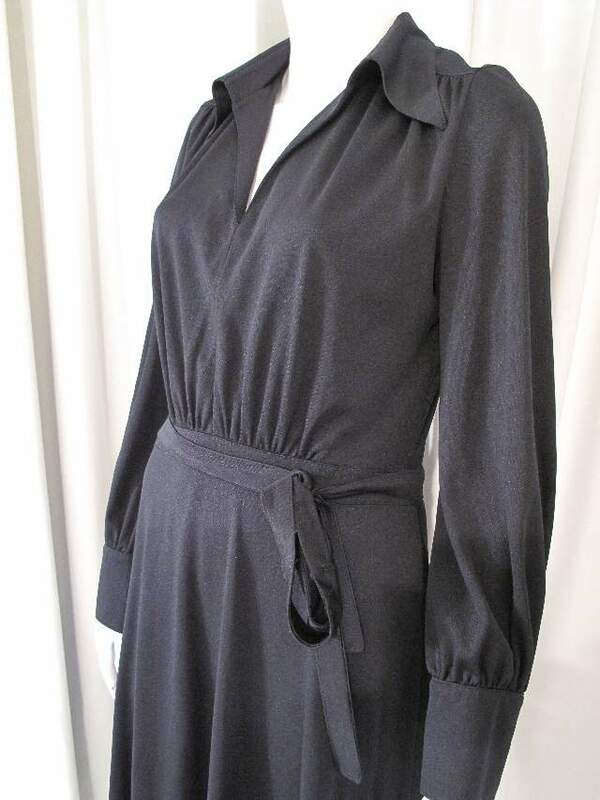 The bodice has a V neck with turn back wide collar. The long sleeves are gathered into a deep, three covered button cuff. The front and back panels are gathered from shoulder yokes and gathered into the wasitband. The 3/4 length skirt is slightly flared and lined. 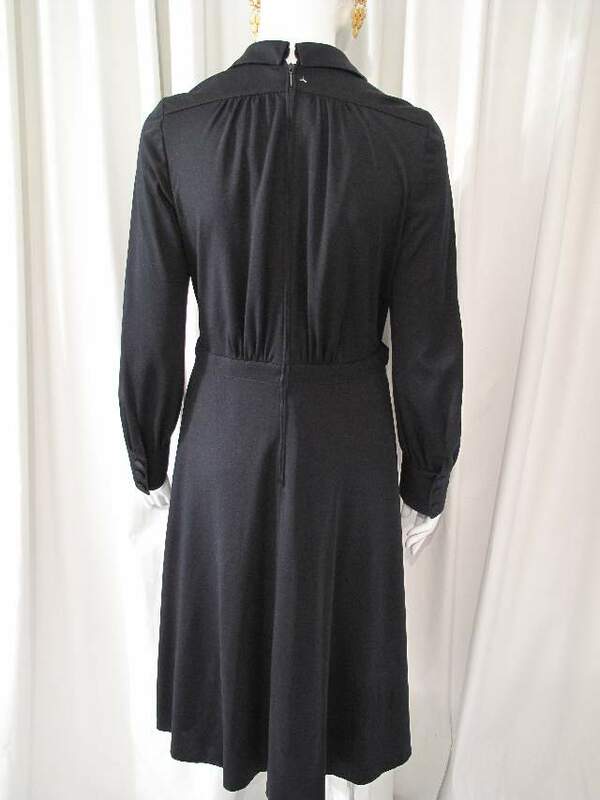 The dress has a back zip fastening and a fixed tie at the waist. 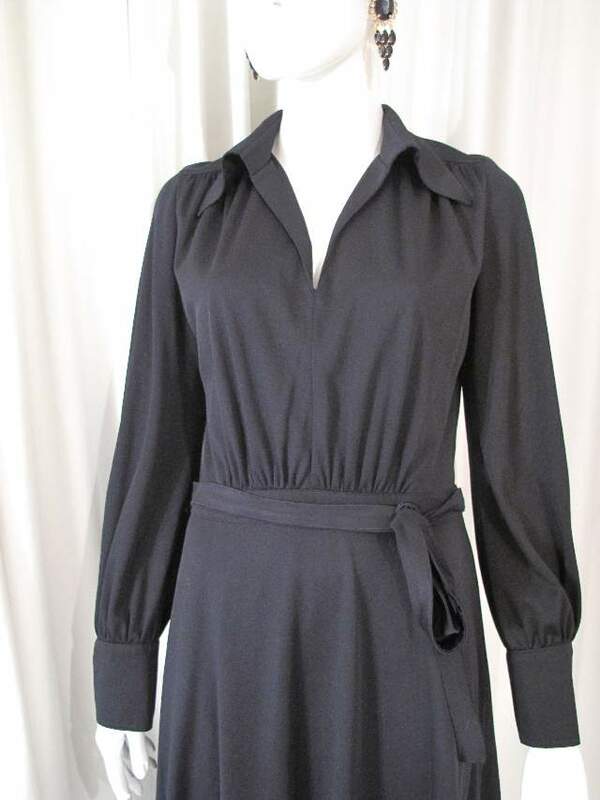 A great vintage day dress.